The application for Summer 2019 is available now. For Fall 2019 application dates, see the Apply page. All non-degree students must complete a non-degree application for EACH semester before they may register. NOTE: Students taking graduate non-degree courses in the schools of Business, Social Work, Law, and at UConn Health must complete a program-specific application. What is non-degree study at UConn? 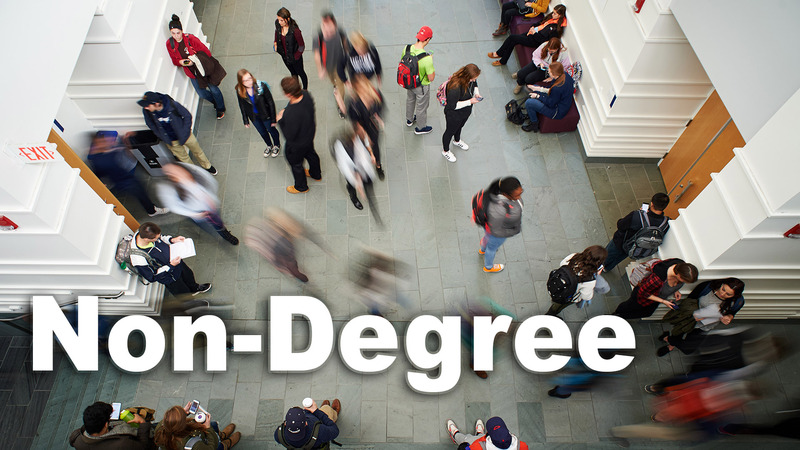 Non-Degree Study allows individuals who have not been formally accepted into degree-seeking status at the University of Connecticut to take undergraduate or graduate-level credit courses. Classes are offered days, evenings, and weekends at our five campuses and online. Students interested in pursuing non-degree study must complete an application. Registration as a non-degree student is on a space-available basis. Credits earned from UConn courses are transferable to most other institutions. Credits earned may also be used toward acceptance into specific UConn degree programs and graduate certificate programs, with some restrictions. A thorough discussion of the program can be found in the Undergraduate Catalog.